Born in England on 1 June 1860, he immigrated to Canada in 1882 and entered the Methodist ministry around 1883. 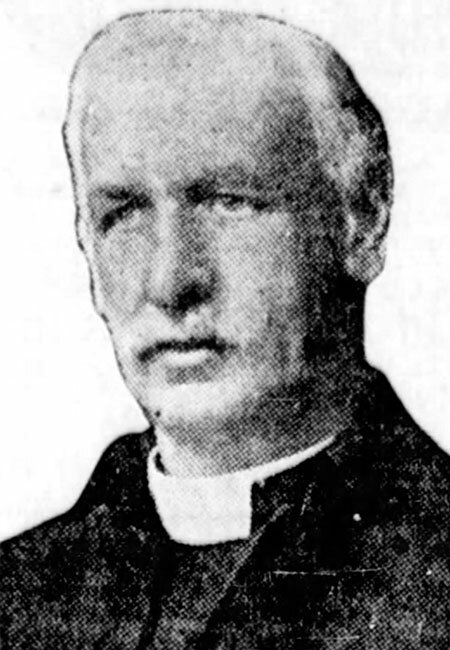 He came from Moncton, New Brunswick to Winnipeg and was Reverend of Zion Methodist Church (1913-1916) and Maryland Methodist Church (1916-1919). As of his departure, he had changed pulpits a dozen times over his career. He and his wife, Jerusha Tupper Batty (1854-1944), then left for his next posting at Victoria, British Columbia. He died at Victoria on 6 October 1922. “Zion's new pastor,” Winnipeg Tribune, 28 June 1913, page 26. “Moncton Pastor who comes to Winnipeg noted Temperance man,” Winnipeg Tribune, 7 August 1913, page 6. “Given new pastorate in British Columbia,” Winnipeg Tribune, 10 April 1919, page 5. “J. L. Batty ends ministry here,” Winnipeg Tribune, 23 June 1919, page 5.